In March, I had the opportunity to go to Marrakech, Morocco! The streets are filled with mopeds, donkeys, car fumes, shopping, street pastries, color, arabic conversations, the sound of Muslim prayers and this is not even mentioning what happens in the plaza. By far one of the best places I have ever been. The shopping is overwhelming and after coming back to the States and doing some research, actually quite affordable for what you can get here for the same stuff…that is if you barter right! So, if you are looking for a shopping kind of vacation…hit Marrakech! Bring your wallet, your negotiating skills, and an extra bag or two for the flight home! It is still hot out, but it doesn’t hurt to look at fall clothes, does it? Back to school shopping was my favorite. Not just buying pens,pencils, notebooks, and binders…but shopping for clothes that you had to wait to wear or you would melt away because it was still 80 and humid outside. God, I loved that anticipation of getting to wear all my new outfits to school. These looks take me back to those days of the early 90’s, the grunge of it all, and my awkward adolescence. Maybe a little Diana Keaton in that second look too!!! I have never really been one for mainstream. But a good friend of mine has opened up a few doors over the last year of my some pretty good stuff. This video being one of them. It is KIND OF awesome. The costumes, the choregraphy, the costumes, the concept…did I mention the costumes? i bought a desk from ikea a year ago when i moved in. i bought stain around the same time. 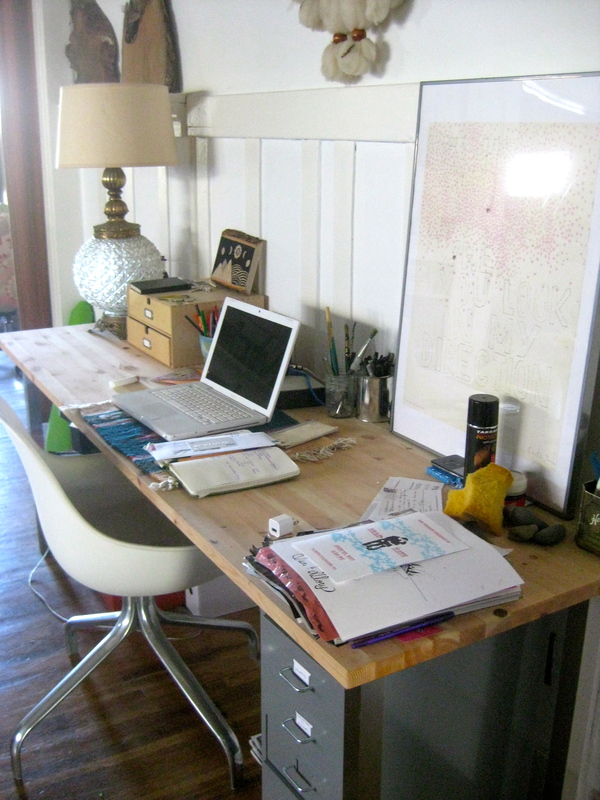 two days ago i finally started to makeover my desk. clearly, its a bit clutterd. i bought the table specifically because the wood was untreated. it was a cheap way to get a nice, long, big desk perfect for the wall it is going to sit at. 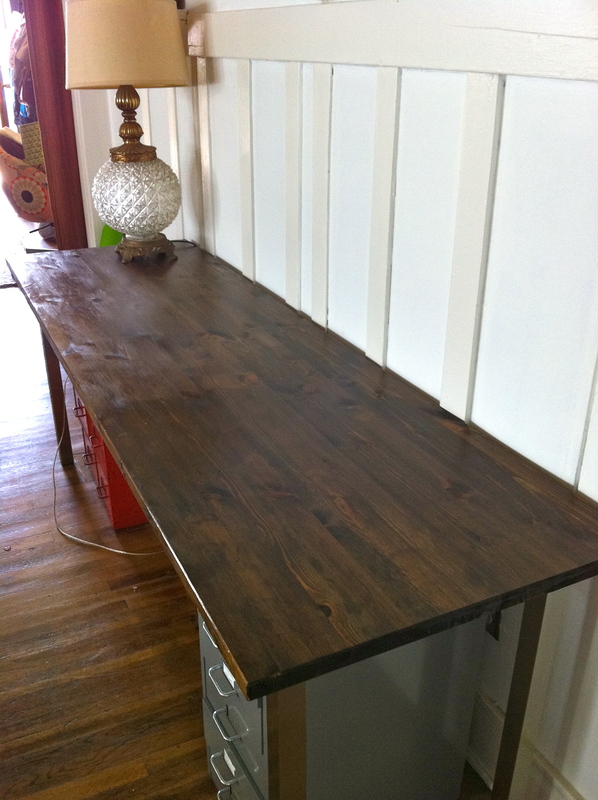 i used minwax wood finish (from home depot) in dark walnut (2716). using an old rag, rub on the stain going with the grain. wiping excess stain as you go. you will be surprised how little stain you actually need. i used only one coat. the wood absorbed it to the shade i desired. you can reapply for a darker color. 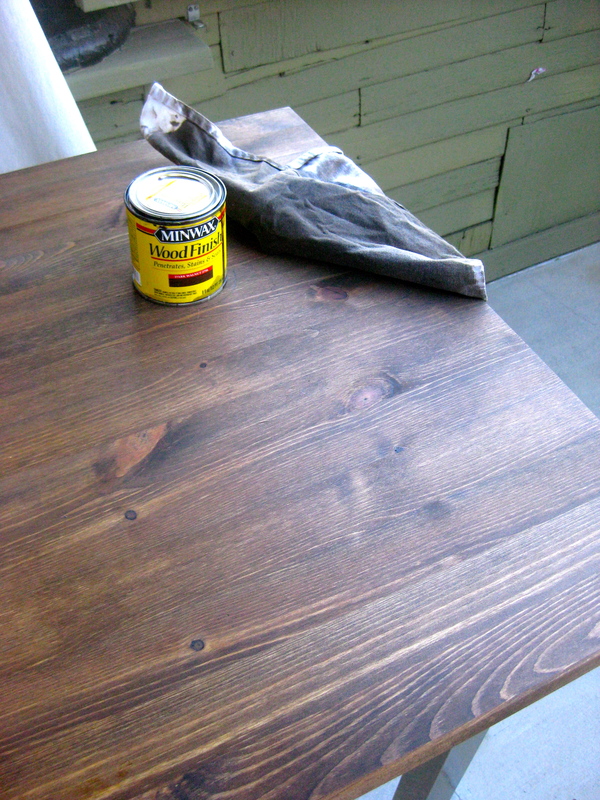 the stain needs about 15 minutes to dry thoroughly (but check the can). i next used deft clear wood finish in gloss. i did two coats waiting two hours in between the first and second. the second coat i applied a bit more liberally. 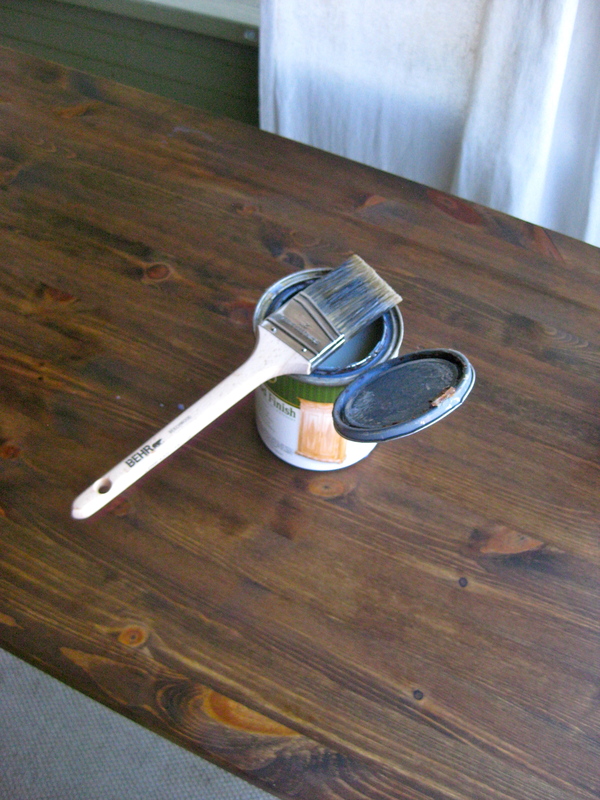 it is also helpful to sand in between coats to get rid of any graininess to the touch. i did not sand until after the second coat and it was still shiny and wonderful. the wood looks rich and lovely. 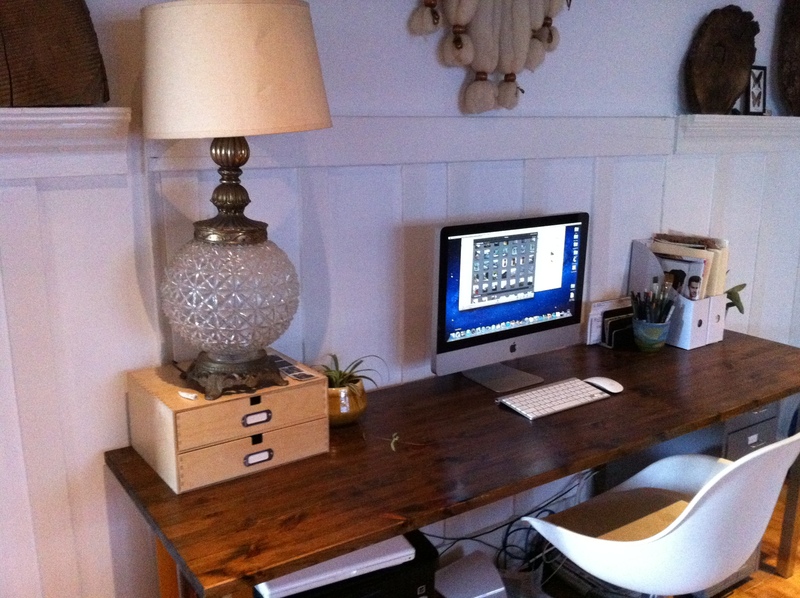 i could not be happier and am kind of obsessed with sitting at my desk ( the new iMac helps too). i think it will also inspire me to keep my desk less cluttered!!! July 22nd by sunandglory in	D.I.Y. i have always had a thing for anything native american since i was a kid. 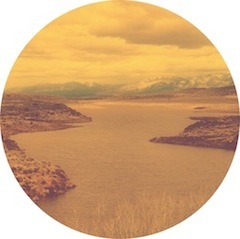 my parents took us on many road trips across the plains into colorado and wyoming to the mountains of tennessee. i could be often be found on these trips in the gift shops wanting all of the trinkets, beaded necklaces, leather goods. i remember some of my favorite books as a kid were about native american children, i love(d) the traditional music, playing in the woods pretending to be an indian princess. in junior high i went through a major obsession with last of the mohicans.i think i watched it everyday for like 2 weeks. this love and fascination has never stopped. in high school my brother lived in taos, new mexico and as an adult i have had the opportunity to spend some great time in the carson national forrest feeling free and immersed in the beauty of nature and the sky. there is something magical, mysterious, beautiful, and enchanting about all the tribes, their history, and cultures. 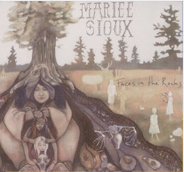 mariee sioux is a slice of heaven. she pertains to these wonderful ideas and fantasies i have. her music compares to that of folky alela diane (same record company too) esk sound. i have been contemplating this blog thing for some time now. i have had some failed attempts and i attribute that to not being able to focus on one thing. perhaps i have adult ADD. but…there is just so much i love: cooking, crafting, doing, seeing, hearing, traveling, learning, eating, friends,family. so, why not just combine it all together, i ask? so i will. a lifestyle blog…so it begins.